**Bike Dash performs better on new devices : Samsung Galaxy 5 capability and alike. Feel the rush as you ride your bike across hazardous trails avoiding obstacles while performing gravity defying tricks to reach the farthest you can. 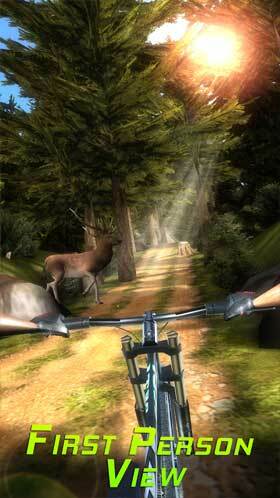 The game combines authentic mountain bike downhill action with an extreme endless runner. 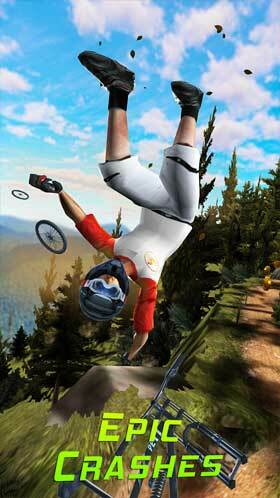 Earn extra coins by performing tricks and combos in huge jumps . Level up to unlock more insane tricks and upgrade your gear. Richly detailed Forest and desert trails. Switchable First Person and third person view. 15 amazing Tricks to unlock. Over 20 Gear items to upgrade. Epic Ragdoll bones breaking, blood splatering crashes.